Durian Kaki is one of the newest durian stores in Singapore. The stall was founded by a group of young durian lovers in 2015. The group when from Johor to Malacca and even to Kalimantan, Indonesia just to learn everything that they need to know about the different varieties of Durian. 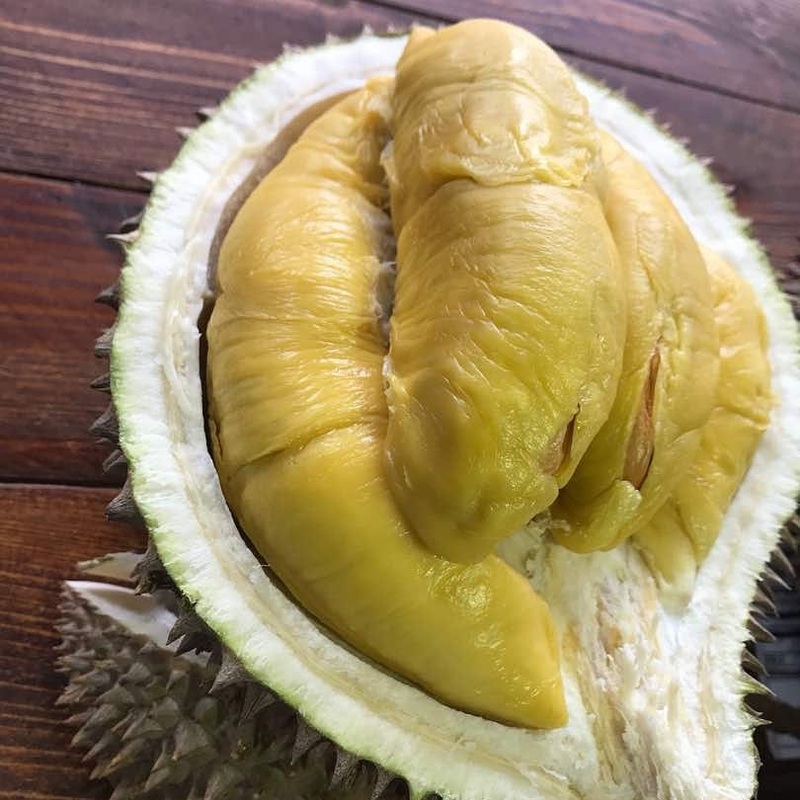 After spending months of research, traveling and durian adventures, they finally decided to enter the durian industry, and that is how Durian Kaki was born. The stall was initially located in Aljunied but moved to their current Yishun location on September 2017. Some of the durian varieties that you can buy from their establishment are Mao Shan Wang (available daily), Jin Feng and Mei Qiu (availability may vary depending on the season). 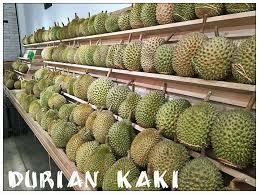 Many customers claim that Durian Kaki is a modern version of the regular durian store that you will see in Singapore. Upon entering the establishment, you will be welcomed with bright and modern Broadway-style signage, accent industrial brick walls, chalkboard menus, glass panels and the most important thing of all—air conditioning. The entire stall gives off a café vibe that you can’t get from all the other stalls in Singapore. Most durian stalls accept only cash for payment. Durian Kaki is an exception as they also accept credit cards which is convenient for most of their clients. Aside from durian, you can also purchase Pulasan from the stall. Pulasan is a type of rambutan which is a sweeter and more refreshing than durian. Another bestseller of Durian Kaki is their Mao Shan Wang puree. The management accepts reservations which must be made 1 day in advance. However, reservations are only available for MSW purchases. In addition to that, reserved items must be claimed within ½ hour after the reservation time or the items will be released to walk-in clients. Durian Kaki goes above and beyond, and that is why they pack their takeaway items in a vacuum-sealed packaging instead of the traditional box. This is more preferred by their clients (especially those who are going to ride a plane) as the special packaging minimizes the strong smell of durian. – Delivery services are available only on MSW purchases. – Delivery orders must be made 3 days in advance for logistics and route planning. – No delivery charges for purchases of more than 8 kg. – Delivery schedule is only Saturday and Sunday evening. – Delivery slots are as follows: 3 PM to 5 PM and 7:30 PM to 9:30 PM.